Honda (UK) is pleased to announce it will be providing on-event support for all competitors riding Montesa Honda machinery at the famed Scottish Six Days Trial on 2-10 May 2014. Support will be offered from the Honda village in the main paddock service area – where competitors can get refreshments and make use of the technical area to conduct service on their competition machines. This technical area will be run out of the factory Repsol Honda Team – HRC race awning, the very same technical area occupied by legends Toni Bou and Takahisa Fujinami in the opening rounds of the 2014 Trial World Championship. 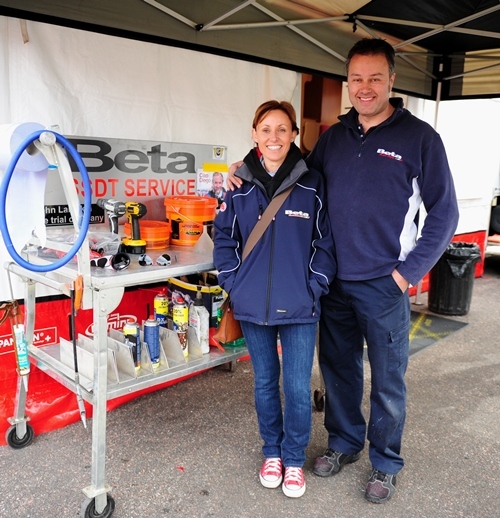 Technicians from the factory team will be on hand to offer technical advice to competitors where needed and provide tools for specific jobs if required. Representatives from Honda’s official Montesa franchised dealers will also be on hand to provide parts support to competitors. Alongside the raft of privateer competitors on Montesa Honda machinery, Honda is also pleased to announce that Eddie Karlsson – regular challenger in the Trial World Championship – will be competing under the Montesa banner at the event on a completely standard Montesa Cota 4RT260. 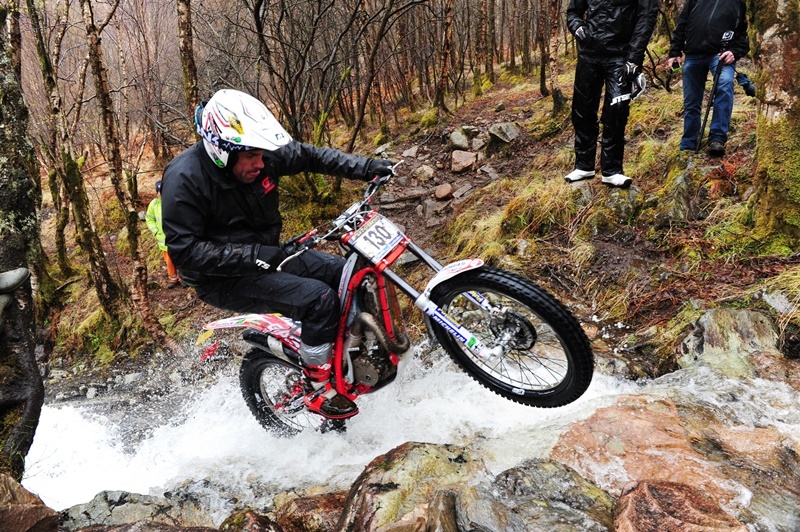 The Scottish Six Days Trial 2014 rider list has been released. Here are a few photos of the most famous competition AJS single. 187BLF is the ex-factory AJS of Gordon L. Jackson who won the 1961 Scottish Six Days Trial aboard this very machine and only lost one mark in the process. It is a fascinating story of how a bike was ridden, won the most famous of all trials on the lowest ever recorded score and then after being sold at a reduced cost to pay for another AJS rider’s expenses and winnings bonus, which was lost to the world for many years. The Thames Ditton sporting dealers, Comerfords’ Sales Manager, Bert Thorn immediately ordered one-hundred replicas straight after Jackson’s SSDT win, but the factory never fulfilled the order. Enjoy these photos, courtesy of Trials Guru. 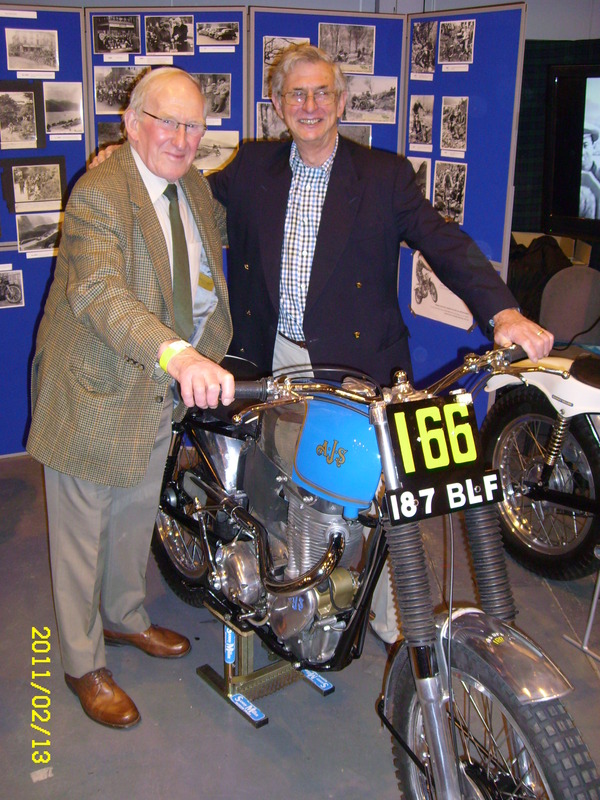 Trials ace, Gordon L. Jackson re-united with his 1961 SSDT winning AJS. In late 1962, Gordon Blakeway (on the right with Jackson) took over 187BLF as it’s factory rider, but by 1965 AMC couldn’t afford to pay Gordon’s bonus, so they sold the machine to him and they deducted his expenses from the total price. Blakeway sold the machine on a few weeks later for “an acceptable profit”. 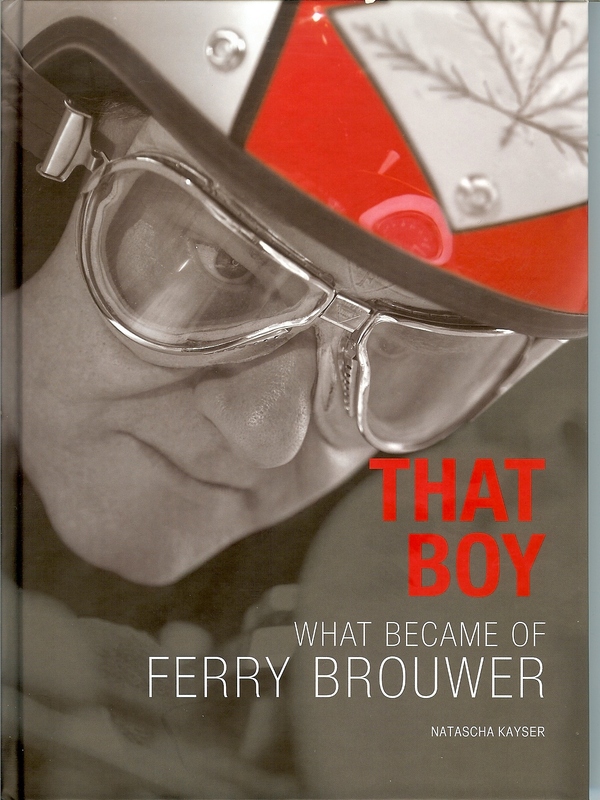 Ferry Brouwer was a race technician with Yamaha Motor Company and was spanner-man to a host of top grand-prix riders. Later in life, he became importer of Arai helmets to Europe. He had a happy family life growing up in a working class area of Holland, life was not easy, money was not plentiful, but young Ferry always found something interesting to do and had the will to succeed. If you get a chance to buy a copy of this book, do so, even if your interest is not in motorcycle racing, it is a captivating story. Written in both Dutch and English language, it is an open and honest recount of life in the Netherlands, post-war. Read how Ferry took his life savings and approached Mr. Arai of the Japanese safety helmet company to attempt to import the famous helmets to Europe, he met with obstacles, yet he was not put off. It is a true-story of endeavour and self-belief. The official Public Relations and Publicity partner of the Scottish Six Days Trial 2014 is Trials Media. 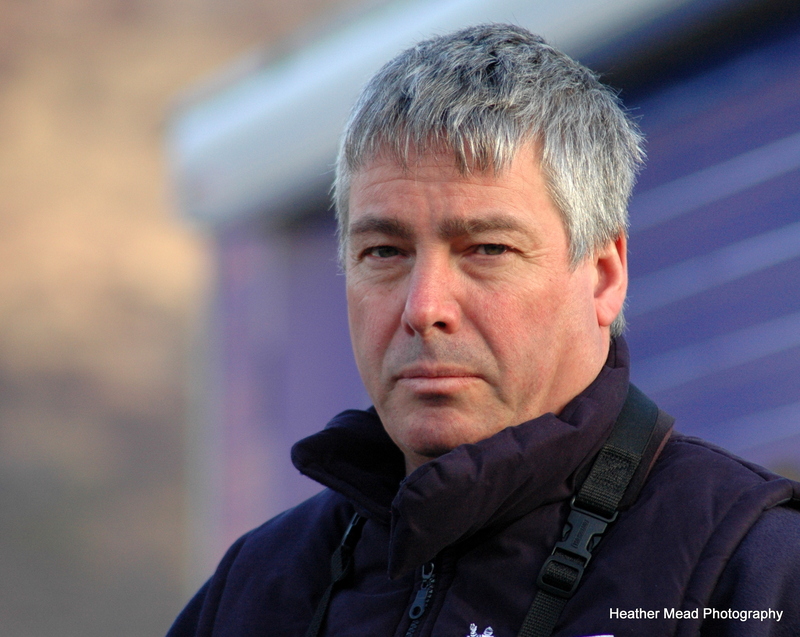 Based in High Peak, Derbyshire, Trials Media is the PR arm of Yoomee Ltd, their MD is trials enthusiast John Hulme, himself a former SSDT competitor. 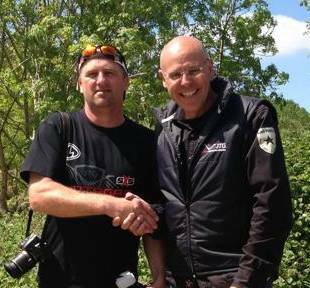 John Hulme or ‘Yoomee’ as he is universally known, will be at the SSDT not only reporting for Trial Magazine, but will be keeping in constant touch with Press Officer, Heath Brindley who will be manning the SSDT World-wide press office, based at the Ben Nevis Hotel, the HQ of the SSDT. It has just been announced that Honda (HRC) have decided to end 70 years of off-road motorcycle history by retiring the ‘Montesa’ brand name. The HRC Trials Team of Takahisa Fujinami and Toni Bou, will now be riding Honda 4RT machines from now on. This ties in with the HRC Moto GP road racing enterprise. 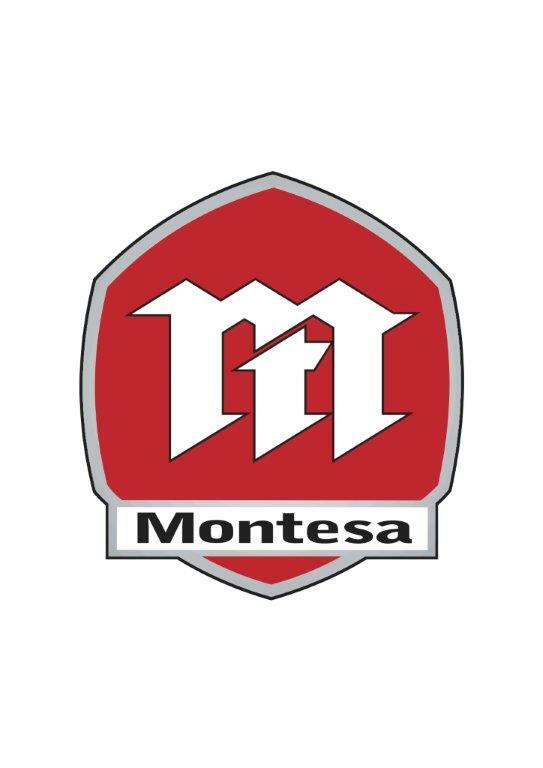 Montesa became a wholly owned subsidiary of Honda Motor Co back in the 1980’s, which helped Honda sell more units in the Spanish markets, by their purchase of a Spanish company which was founded originally by the Permanyer family in Barcelona. It comes as no surprise for those within the industry as much of the production was moved to Honda’s factory in Italy two years ago. The Montesa 4RT was always a Honda at heart as the motor was built by HRC (Honda Racing Corporation) which also manufactured the motor for the previous model the Montesa 315R 250cc two-stroke. You might say that Sherco importer, Malcolm Rathmell, has the ‘magic’ touch when it comes to the Scottish Six Days Trial. Providing the support with his wife, Rhoda, they have continued to be involved in the winning ways from the start of his career right through to the modern era. 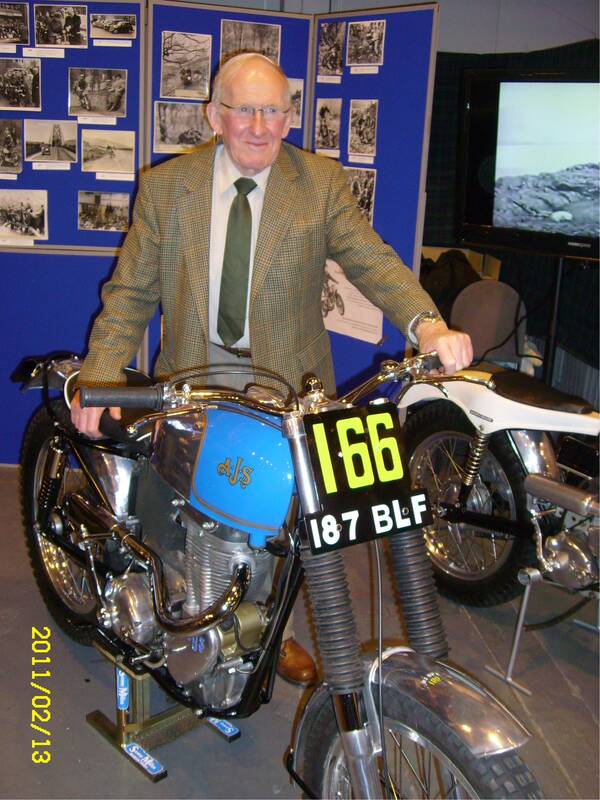 ‘Rastus’ as he is known, first visited the event as a spectator in 1963 before he started his SSDT career in 1966 on a Triumph Tiger Cub, retiring with a broken rocker. 1967 would see him take a similar machine to a Special First Class award and he followed the trend over the next few years, though mounted on Greeves in 1968 and 1969 before joining the Spanish Armada in 1970 with Bultaco, taking the first of a top-three finish on the prototype slim-line ‘Kit Campeon’ model. Malcolm would also finish third in 1971. In 1972 he slipped just off the top spots with a fourth place before taking his first win in 1973 on the early 325cc Bultaco featuring the blue and silver one piece aluminium fuel tank/seat unit. Rathmell finished in second place, ten marks behind Mick Andrews, in 1974 in his last year on Bultaco before the move to rival manufacturer, Montesa. Riding the prototype Montesa Cota 348 machine, which would eventually be sold as the Malcolm Rathmell Replica, he took second place again in 1975. Third in 1976 and second in 1977 were good years before a disappointing 1978 on the Beamish Suzuki finishing in a lowly, for him, tenth position. He would put this disappointment behind him to give Montesa its first win in the event in 1979 at the final hurdle in a show down with friend and rival, Martin Lampkin, on the slopes of Ben Nevis. Montesa rival, Yrjo Vesterinen, took the win on Montesa in 1980 with ‘Rastus’ second. Now approaching the end of a successful riding career he would finish eighth in 1981 and sixth in 1982 before retiring from trials. Rathmell would return to trials though in 1991 as an importer with the Italian Aprilia machines providing support for riders such as Tony Scarlett. In 1994 he would move to importing the French Scorpa machines at the event with Graham Jarvis coming home in sixth place. Jarvis would give the MRS team its first win in 1998 on the Rotax powered machine before another win on the new breed of Bultaco Sherco in 1999. Rathmell moved to fully importing the Sherco in 2000 and three years later Spanish rider, Joan Pons, would give the new re-brand its first win. Jarvis would win in 2004 with team rider, Sam Connor, taking his only win in 2005 before Jarvis once again returned to the top spot in 2006. 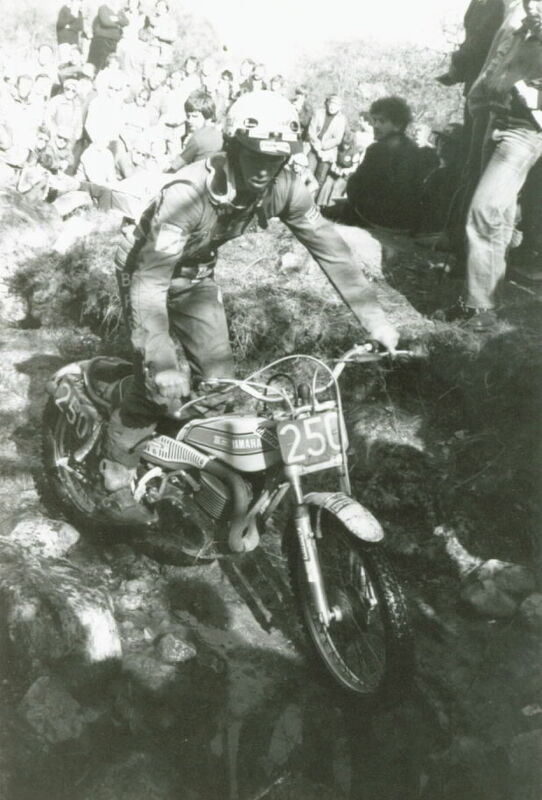 Malcolm Rathmell is a previous winner of the event seen here in the 1982 SSDT. SHERCO Wins: 1999: Bultaco Sherco – Graham Jarvis (GBR); 2003: Joan Pons (ESP); 2004: Graham Jarvis (GBR); 2005: Sam Connor (GBR); 2006: Graham Jarvis (GBR). 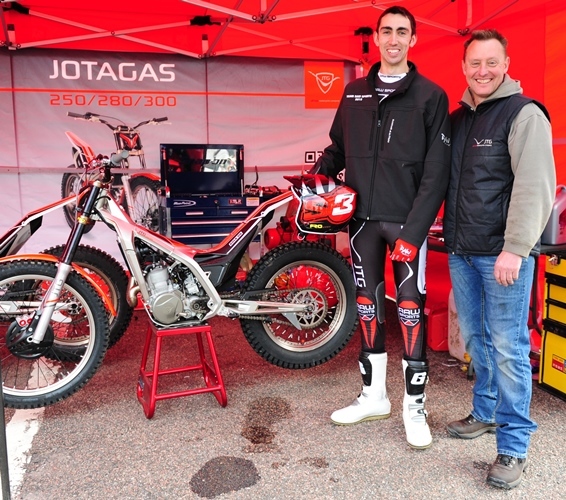 The Spanish Jotagas name is fronted by the importer and four times SSDT winner, Steve Saunders. The Gloucester based rider/importer has a superb history with the Scottish Six Days after his first ride on the Comerfords supported 250 Bultaco in 1982 when he finished in twentieth place, having just recovered from a broken collar bone earlier in the season. He finished sixth in 1983 and third in 1984 on the British-built Armstrong machine featuring the Italian Hiro engine. In 1985 on a Honda UK supported four-stroke single shock RTL250S he took the runner up position to Frenchman, Thierry Michaud, on the Fantic and repeated this result again in 1986, although this time he was on the full Rothmans supported works RTL270SW machine. The 1987 ride nearly did not happen after the Fantic Team in Italy did not bring Saunders a fully prepared factory machine to the event, as was expected and he arrived with just his spare practice machine. Burning some midnight oil the spare machine was quickly refurbished and he once again took second place, this time behind Jordi Tarres. Saunders took a well-deserved win in 1988 and again in1989, the last wins for Fantic before giving Beta the wins in 1989 and 1990. His last ride in the event was 1994 on a Gas Gas when he took a Special First class award with a top ten finish. The Shirt family had been in Scotland providing support for the Majesty Yamaha effort and with Yamaha and the revolutionary TY 250cc Mono-Shock machine, before becoming the Gas Gas importers in 1988 when they became the first company that the Spanish manufacturer ever exported to. Their first year at the Scottish with the Gas Gas name was in 1989 when they had only four of the machines in the entire entry, including John Shirt Jnr who had made his first attempt at the event in 1988 on the Honda RTL270SW taking a very creditable tenth place and the Ian Pollock Memorial Trophy for the best newcomer. Since then Shirt Jnr has competed in, and finished every year to date, with his best performance coming in 1992 when he was second. Considering the popularity of the red Spanish machines it’s almost unbelievable that they had taken only two wins in 1997 and 2000 with Steve Colley on the TXT model before Dougie Lampkin changed all that in 2012 and 2013. 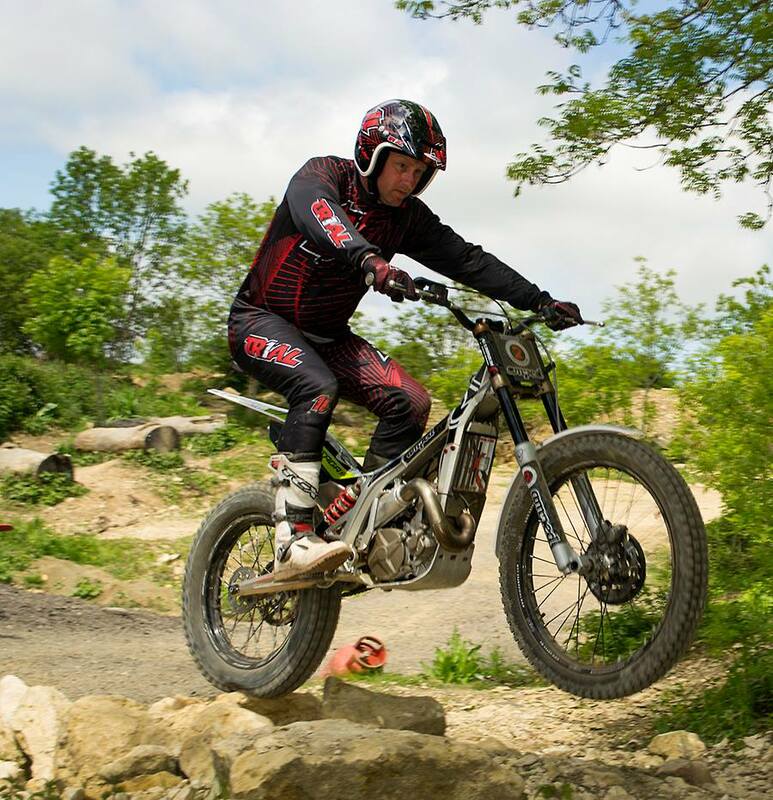 ‘Shirty’ still competes in the event which he enjoys as one of only a handful of outings each year on a trials machine. Shirty still loves his annual ‘holiday’ in the Highlands. 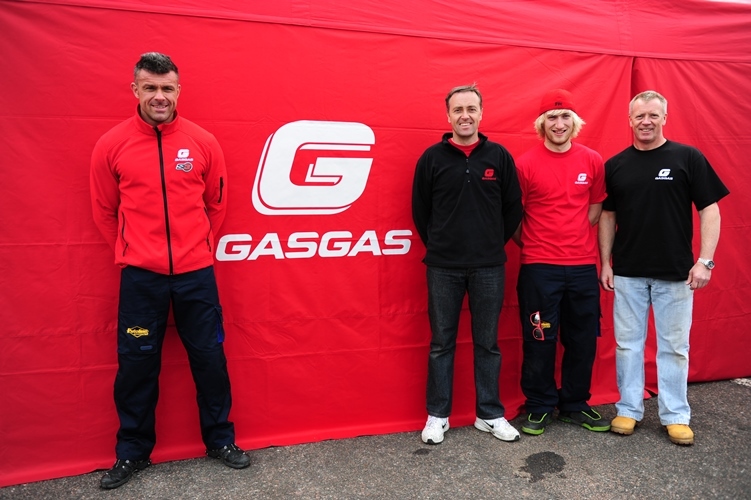 Gas Gas Wins: 1997 and 2000: Steve Colley (GBR); 2012: Dougie Lampkin 2012 and 2013. The Beta support team is headed by John Lampkin, a former factory rider for SWM, Fantic and Armstrong, before he became the Beta importer starting with the air-cooled single-shock TR 34 model in 1987. Lampkin made his debut in the SSDT in 1980 on a Colin Appleyard Motorcycles sponsored 250cc Bultaco, coming home in eighty fourth position. Over the following years he enjoyed the event, with his best finish in 1989 when he took the runner up berth. Although in 1986 John took a close third place on the 301 Fantic in a very wet event finishing behind his greatest rivals, Frenchman Thierry Michaud, and Steve Saunders. In 1987 he witnessed the arrival of a very young Spaniard, Jordi Tarres, on the Beta TR 34 with his unique riding style, who took the win before Steve Saunders ruled the Highlands, taking the last of a consecutive four wins in 1990 for Beta, the previous two wins were with Fantic. 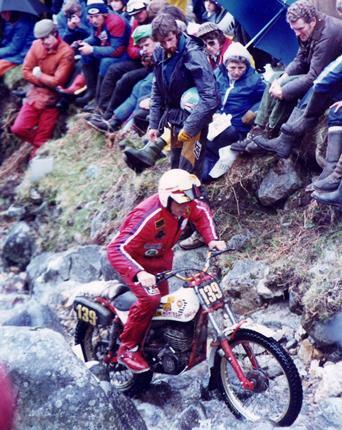 Manx Man, Steve Colley arrived on the scene, before another Lampkin, Dougie, took control on the Zero model Beta. It was then a lean time for the Italian manufacturer with no wins before Dougie Lampkin returned to the event, after a thirteen year absence, having been chasing world championship glory, giving Beta another podium which was followed by Alexz Wigg in 2010 and then to celebrate 100 years of the event James Dabill took a very popular victory. BETA Wins: 1987: Jordi Tarres (ESP); 1990: Steve Saunders (GBR); 1991: Steve Saunders (GBR); 1992: Steve Colley (GBR); 1993: Steve Colley (GBR); 1994: Dougie Lampkin (GBR); 1995: Dougie Lampkin (GBR); 2008: Dougie Lampkin (GBR); 2009: Dougie Lampkin (GBR); 2010: Alexz Wigg (GBR); 2011: James Dabill (GBR). 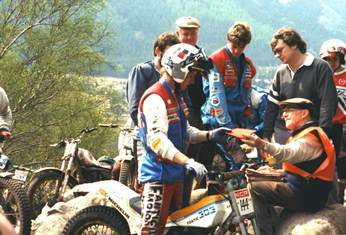 Nigel ‘Butterfly’ Birkett… Ossa & Scorpa with SSDT Officials, Keith Blythe and Mick Gover. Ask Nigel Birkett any question on the SSDT and it’s a good chance he will have an answer, having ridden and finished in the event since 1971 when he took his home built 128cc Suzuki to 120th place losing 297 marks. This year will be his 43rd Scottish in total. Since then he has ridden private machines from Ossa in 1972 – 1974 before works machines came from Suzuki 1975 – 1977, when he finished in third place on the 325cc RL which was incidentally his best finish, Montesa 1978 – 1980, Fantic 1981 – 1982; Majesty Yamaha 1983; Yamaha 1984 – 1988; JCM 1989 – 1990; Gas Gas 1991; Yamaha 1992 – 2002 and his own Yamaha powered Birkett machines in 2003 and 2004 before becoming the UK Scorpa importer and riding the French Yamaha engined machines from 2005 – phew quite a record! He rode the Scorpa until he became the Ossa importer towards the end of the 2010 season and then riding the Spanish machine from 2011 onwards. The 100% record on starts and finishes is one he is very proud of and each year has its own tale to tell. As the importer for both the French built Scorpa and Spanish Ossa machines he still competes, which he still prefers than watching from the car park. 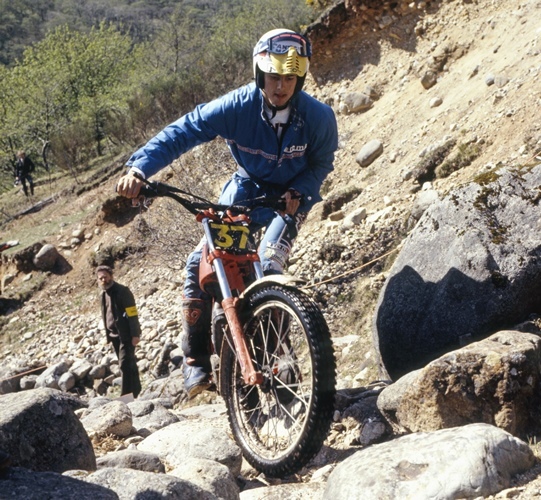 OSSA Wins: 1970 – 1972: Mick Andrews (GBR). 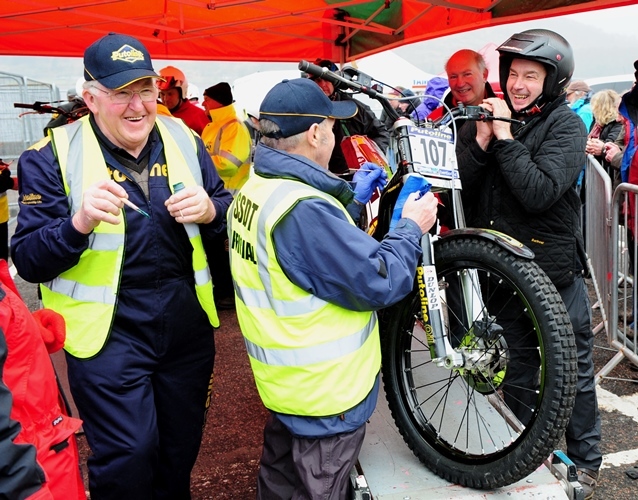 Information provided by: Trials Media – The official PR partner for the Scottish Six Days Trial 2014.